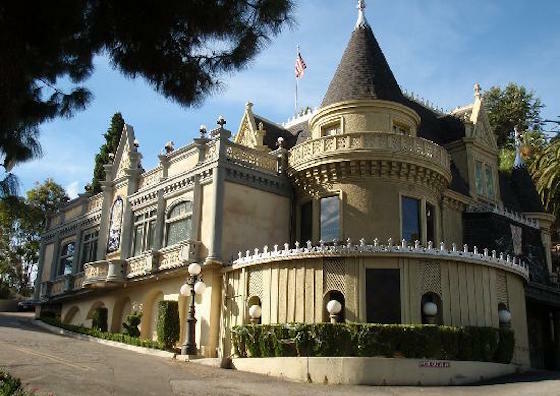 Los Angeles' fabled magic club the Magic Castle finally got its pop culture moment earlier this year, when it was the setting for Gus and Mickey's first date in Love. That was just the beginning, however, as the venue will soon be part of a massive movie undertaking. According to The Hollywood Reporter, Ridley Scott has teamed up with Radar Pictures to work on a multi-faceted Magic Castle project. The whole thing centres around a film called The Magic Castle, which will be produced by Scott and his Scott Free partner Michael Schaefer alongside Radar's Mike Weber and Ted Field. Further, Magic Castle creator and president Milt Larsen and Magic Castle Inc. COO Dale Hindman will be on board as executive producers. The Magic Castle movie has been in the works for years, with McG previously attached as director. Here's hoping Ridley Scott gets behind the lens for this endeavour. The undertaking doesn't end with this film, either. Scott and Radar Pictures are reportedly in talks to expand the property into digital and television avenues. They're also teaming up with Magic Castle Inc. to work on franchising the famed magic venue to other cities.